On August 16th, 1870, there occurred one of the strangest, yet most important, battles of the Franco-Prussian War. At the Battle of Mars-la-Tour, the French Army of the Rhine found itself in a "magnificent position" to crush advancing elements of the Prussian 2nd Army in detail and thereby change the tide of the war. Instead the Prussians, though severely outnumbered the entire day, turned certain defeat into a miraculous victory. By doing so, the fate of Napoleon III's Second Empire was sealed. Position Magnifique: Mars-la-Tour 1870 is a medium-sized, brigade-scale game for two players (although it is solitaire-friendly). The French player, as Marshal Bazaine, must coordinate his huge army and take advantage of his greater numbers and the French infantry's superior Chassepot rifle. The Prussian player, as von Moltke, must play a cunning game of bluff, hold the line with his deadly Krupp artillery and launch timely attacks as his reinforcements race to the battlefield. The game is specifically designed to provide an exciting and historically accurate simulation of this incredible battle. The system is driven by a unique chit-pull mechanic that simply but accurately portrays the fog-of-war, battlefield chaos and command challenges that were faced by the commanders on that "day of battle". 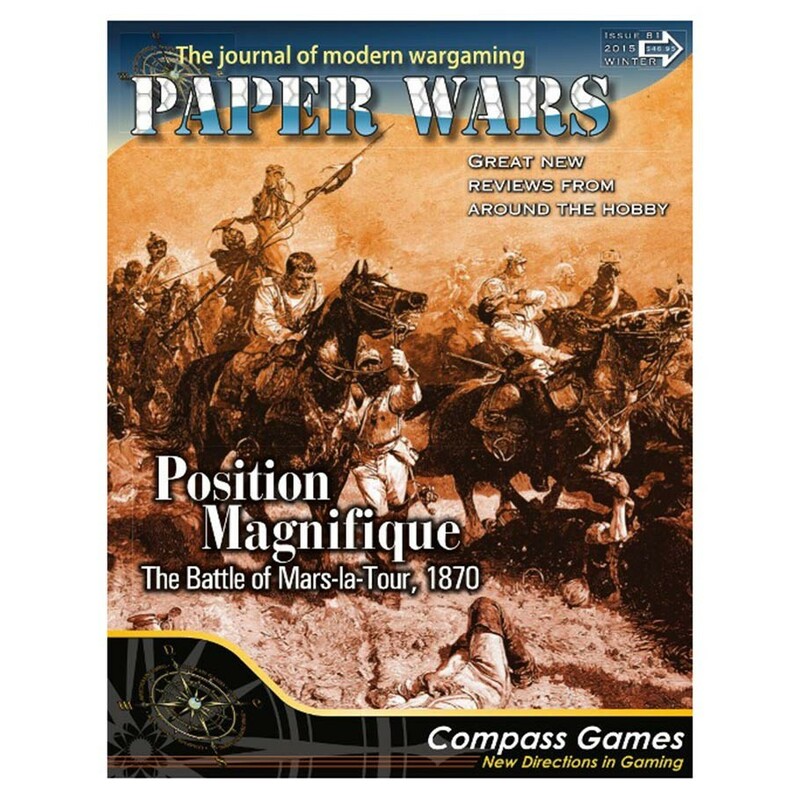 Position Magnifique: Mars-la-Tour 1870 provides a challenging and exciting game experience - one where both players will, at various times, feel that they have both won and lost the game.